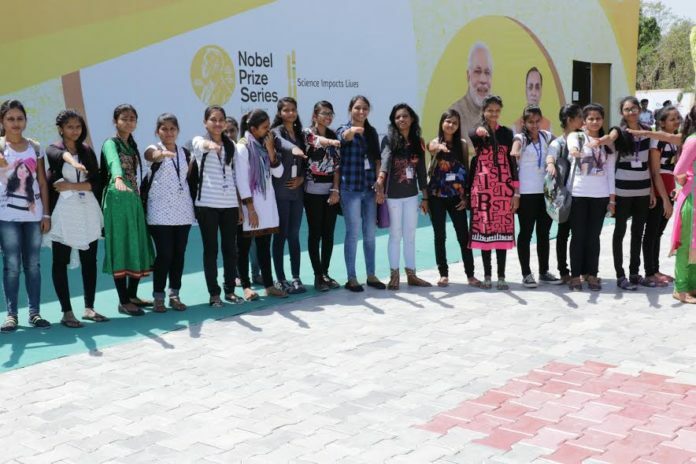 Ahmedabad: The world needs science and science needs women. Globalization, digital innovation and climate change, among other factors, continue to change the world in which we work — posing both challenges as well as opportunities in realizing women’s economic potential for a better tomorrow. 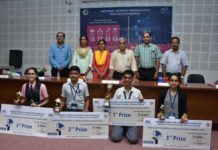 Gujarat Science City and Gujarat Council on Science & Technology (GUJCOST) have organized a seminar on women and science to mark the International Women’s Day. About 200 girl students and faculties from arts and management disciplines attended the programme and discussed on the various tools of S&T to empower them in their career and future. Shri A. K. Patel, Deputy Director, GEER Foundation conducted an interactive session on how to empower the women and girls in their career and future. The participating students visited Nobel Prize Exhibition and took a note on the pioneering work carried out by the women scientists as the change maker in the world. 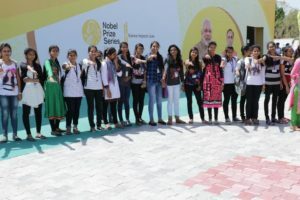 The students took a pledge to develop scientific attitude to overcome entrenched prejudice, superstitions, support engagement and activism, and promote gender equality with women’s empowerment. International Women’s Day is a time to reflect on progress made, to call for change and to celebrate acts of courage and determination by ordinary women who have played an extraordinary role in the history of their communities and localities. The theme of this year celebration is “Women in the Changing World of Work: Planet 50-50 by 2030”. The idea of this theme is to consider how to accelerate the United Nations Global Goal on Sustainable Development by 2030 with building momentum for the effective engagement and implementation. Among the 17 Sustainable Development Goals (SDG), the Goal number 5: Achieve gender equality and empower all women and girls; and the goal number 4: Ensure inclusive and quality education for all and promote lifelong learning are the pertinent goals in celebrating the International Women’s Day.